LONDON (Scrap Register): Brazilian steelmakers remain optimistic regarding the growth prospects for domestic steel consumption. Import penetration is relatively low. 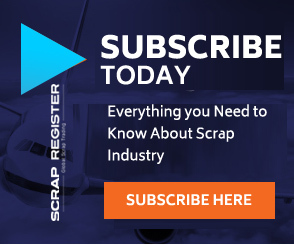 Nonetheless, the Instituto Nacional dos Distribuidores de Aço (Inda) reports that, in January 2019, domestic finished steel sales are expected to total 264,000 tonnes – down 7.0 percent, compared with last year’s figure. Distributor and service centre inventory levels, at the end of December 2018, stood at 939,400 tonnes, equivalent to 5.5 months of sales.